Mohamed Elibiary was until last week a senior member of DHS’ Homeland Security Advisory Council (HSAC). After years of controversy about his status at DHS, Elibiary announced his final day with the department on Twitter earlier this month and said he would remain close to the agency. Media outlets have raised questions about the circumstances surrounding his departure, speculating that his provocative comments about the "inevitable" return of the Muslim "caliphate" may have played a role. Elibiary was originally appointed to HSAC in 2010 and reappointed in September 2013 with the elevated title of "senior fellow," DHS informed Rep. Louie Gohmert (R., Texas) in a July letter about Elibiary’s status with the agency, according to a copy of that correspondence obtained by the Free Beacon. "Mr. Elibiary will not be reappointed when his term expires in September of 2014," Alan Bernstein, DHS assistant secretary for policy and chief diplomatic officer, informed Gohmert. "Mohamed wants to pretend that he's moving on to bigger and better things," Poole said. "But it's clear that Homeland Security threw him under the bus, and he's going back to [his home state of] Texas with his tail between his legs." Elibiary, for instance, came under fire in June for tweeting about the "inevitable" return of the Muslim "caliphate." His tweets were later praised by affiliates of the Islamic State of Iraq and Levant (ISIL) and potentially used to recruit extremist followers. Elibiary also has maintained that America is "an Islamic country with an Islamically compliant constitution" and argued that the Muslim Brotherhood poses no threat to the United States. While these comment have sparked outrage among critics who call Elibiary an extremist unfit to serve in such a sensitive role, the most concerning issue for lawmakers has been Elibiary’s alleged role in the "inappropriate disclosure of sensitive law enforcement documents," as the letter from DHS frames it. The exact details of the case have long been shrouded in mystery, with various officials providing unclear and at times contradictory answers about whether DHS ever properly investigated the allegations that Elibiary inappropriately accessed classified documents from a secure site and may have attempted to pass them to reporters. Lawmakers such as Gohmert have expressed particular concern about how exactly Elibiary was vetted for a security clearance and what he did with it after being approved by DHS, which continues to maintain that no wrongdoing took place. "As part of his role on the Homeland Security Advisory Council, [Elibiary] was provided access to a network containing sensitive but unclassified information," DHS claimed in its July 15 letter to Gohmert. DHS further claimed that a 2011 investigation "found no credible information" that Elibiary "disclosed or sought to disclose For Official Use Only information to members of the media." "The Department also did not find any indication that he sought to disclose any other internal OHS [Office of Homeland Security] information to anyone apart from official use of information within the scope of his role for the Homeland Security Advisory Council," the letter states. "Mr. Elibiary was sponsored for access to the Department’s [secured] HS-SLIC system by the State of Texas and was only able to access unclassified information on this system." However, documents obtained by Judicial Watch under the Freedom of Information Act contradict DHS’s claims and indicate that a proper investigation into Elibiary’s actions never even took place. 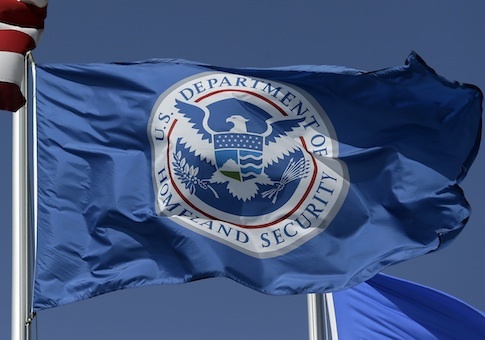 "We conducted a comprehensive search of files within the DHS Enterprise Correspondence Tracking System (ECT) for records that would be responsive to your request. Unfortunately, we were unable to locate or identify any responsive records," DHS informed Judicial Watch in a Sept. 16, 2013, letter. DHS could find not "investigative records regarding the alleged mishandling and any records of communication between any official, employee, or representative of the Department of Homeland Security and any member of Congress, congressional staff member, congressional committee, and/or congressional committee staff member regarding the alleged mishandling," it said in the letter. Conflicting information such as this from DHS has led Gohmert and others to speculate that the department never thoroughly investigated the alleged abuse and is now letting Elibiary go in order to minimize any potential fallout. The Judicial Watch documents "tells you Homeland Security lied" about the investigation, Gohmert said. "There was no legitimate investigation. They didn’t say these documents are classified or secure, they said no such documents exist." Poole speculated that Elibiary’s controversial public comments as well as ongoing questions about the investigation likely fueled DHS’s decision not to renew his tenure on the advisory council. "I think two things contributed to him getting the boot by DHS," Poolse said. "The first was that Twitter gave the world an unfiltered look into the twisted extremist worldview of Mohamed Elibiary. It is amazing that someone in Homeland Security public affairs didn't put the clamp down on that. So his social media use was attracting nothing but negative attention." "The other thing was that the phony … investigation into Elibiary's document leaking was quickly unraveling," Poole said. "I knew the ‘investigation’ was phony because neither my source or myself were ever contacted by DHS about the matter, and members of Congress who were making inquiries knew that at best it was one-sided. And when DHS couldn't provide a single email or document in response to the Judicial Watch FOIA to prove this investigation ever took place, the jig was up." "I suspect they're cutting him loose so they don't have any more congressional inquiries about how they handled, or more accurately didn't handle, that matter," Poole said. Elibiary did not respond to an email seeking clarification on why DHS did not reappoint him.